Are Australian meat chickens genetically modified? The answer is no. 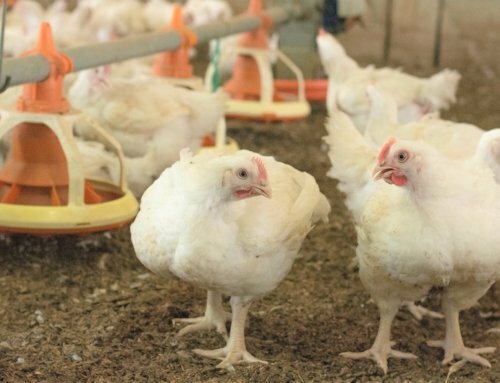 Modern breeds of chicken are no more genetically modified (GM) than your poodle or labrador. Given consumers’ uncertainty around whether chickens raised for meat are genetically modified – 37% of Australians say yes, 44% say they don’t know and only 19% say no  – then I need to explain…. Genetic modification is not needed for modern commercial breeds of meat chicken to grow the way they do. 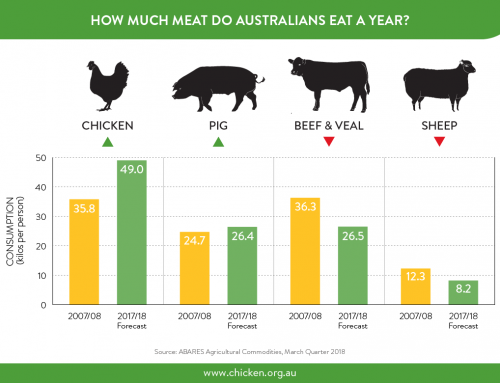 The larger ‘meatier’ chickens of today are due to selective breeding and improved nutrition, which I’ve covered in a previous blog (https://www.chicken.org.au/selective-breeding-why-is-it-important-and-what-does-it-mean/) where I outlined that modern meat chickens have been selectively bred to grow well and put on a lot of muscle (meat), without the need for GM or other treatments, including hormones (hormones have not given to meat chickens in Australia for more than 50 years). Genetic modification is the direct manipulation of a plant or animal’s genome (set of genes) using biotechnology. Selective breeding, on the other hand, leads to gradual but cumulative changes in a population of animals over time using natural processes. Selective breeding is achieved through the simple mating of animals with the most desirable characteristics with each other to produce the next generation. Selective breeding therefore does not make an animal, or in this case a chicken, a genetically modified organism (GMO). These days, many different technologies can be used to determine which chickens would make the best parents to produce the next generation. For example, chicken breeding companies have used an X-ray unit called a lixiscope to identify leg bone abnormalities in meat chicken breeding stock, allowing them to actively select against the presence of any abnormalities in breeding stock, thereby improving overall leg health in meat chicken breeds. 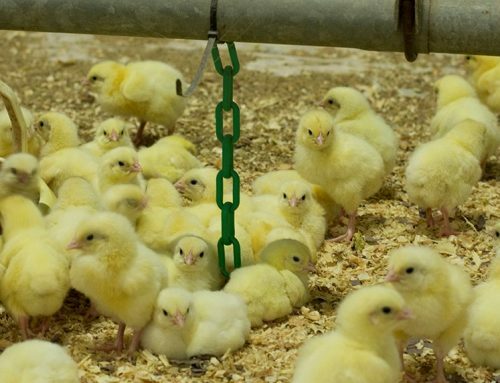 There are positives and negatives to any approach, including selection of ideal animal characteristics, and while genetic modification isn’t currently used to alter the genome of chickens, it could potentially be used some time in the future to create chickens that are resistant to diseases like avian influenza, which can have severe impacts on bird and even human health. So, while on first thought almost half (46%) of Australians couldn’t think of any reason where it would be acceptable for genetic modification of chickens, when provided specific examples one in three (32%) said it would be ok to use genetic modification to improve overall health and welfare of chickens and to help build resistance to avian flu strains (27%). One in four (23%) Australians said it would be ok to use genetic modification to build resistance to food safety risks. Do we use GM feed? 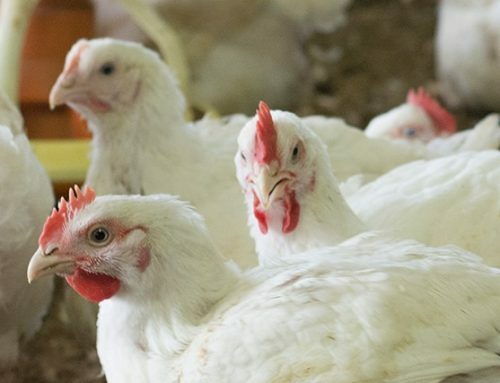 With regards to GM feed ingredients, it is important to note that soya bean meal, which provides an important source of protein and amino acids in the chicken diet, is not usually available in sufficient quantities in Australia and has to be imported. Much of the world’s soya bean production is from genetically modified varieties and in the countries, which produce most of the world’s soya beans, traditional soya bean meal becomes mixed with genetically modified meal during processing, storage and distribution. Guaranteed non-GM soya bean meal can no longer be sourced in sufficient quantities to meet the poultry industry’s needs and thus chicken feed will often contain GM soya bean meal. Another important source of protein and amino acids in chicken diets comes from locally grown canola seed. About a quarter of all canola grown in Australia is GM. Feed that contains GM ingredients has no impact on the chicken meat in any way. The chicken’s digestive processes break all ingredients down into their chemical components which are the same as for non-GM ingredients. Consequently, there is no difference in the meat. The two main ingredients in Australian chicken feed – wheat and sorghum – are not GM. 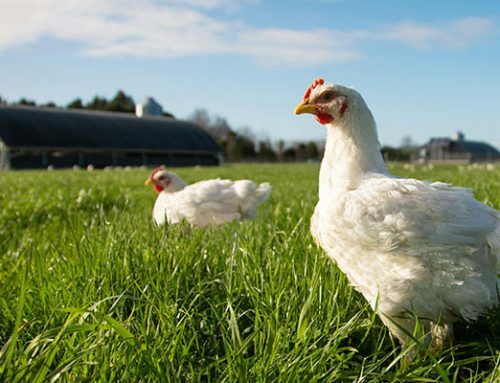 Will we ever see GM chickens used commercially? As mentioned previously, I’m personally not opposed to the use of genetic modification technologies to improve agricultural productivity, if it can produce significant benefits in a shorter time frame, and so long as the products are properly evaluated so that they pose no risk to the environment, human health or food safety and animal welfare. But will the Australian chicken industry ever use breeds of chicken derived from GM technologies? Well, it’s unlikely, and I can’t see that happening if the outcome was just about improvements in productivity (i.e. something in it for the producers); I believe it would only be considered if it was directed at some characteristic which has broader community or social benefit, for example, birds resistant to avian influenza.